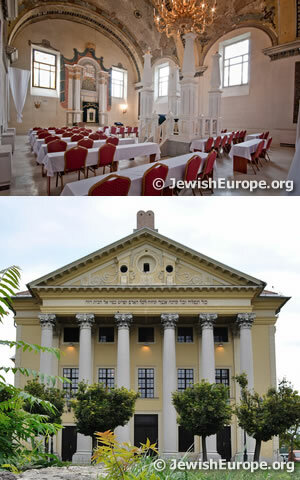 Obuda synagogue is the oldest in Hungary. Built in 1820, designed by architecht Andreas Landesherr in the French Empire style, it was closed after the Holocaust and later in the 1960s, it was converted to state-run televsion studios. In 2010 it was returned to the Jewish Community who renovated it in a short time and service began Rosh Hashana 5770. Friday: 6 pm in the winter, 7 pm in the summer.